Tony and Jan Jenkinson described the establishment as a “filthy, dirty, rotten stinking hovel”. A UK COUPLE say they were fined £100 (€125) by a hotel for leaving a bad review on TripAdvisor calling it a “filthy, dirty, rotten stinking hovel”. 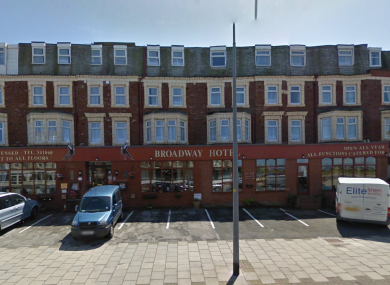 Tony and Jan Jenkinson said they were told the extra charge – almost three times the £36 cost of their room and breakfast – was imposed by the Broadway Hotel in Blackpool, northern England, under a “no bad review policy”. “Annoyed isn’t strong enough for how I feel about this. What happened to freedom of speech?” Tony Jenkinson, a 63-year-old retired van driver, told BBC television. The couple complained to trading standards authorities after the charge was imposed in the wake of their review on travel site TripAdvisor in August. Blackpool City Council has now requested the hotel abandon its punitive policy, and said it understood that the Jenkinsons had had their money refunded. “This is a unique case and not one that we have come across before,” councillor Gillian Campbell said in a statement. A member of staff who answered the phone at the hotel said he would not be making any comment. Email “Couple 'fined £100 by their hotel' for leaving a bad review on TripAdvisor”. Feedback on “Couple 'fined £100 by their hotel' for leaving a bad review on TripAdvisor”.